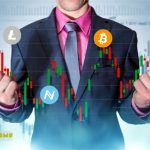 The cryptocurrency market continues to get a new local highs. This is a good sign in anticipation of the resumption of an upward trend for many investors. However, some analysts are concerned about the strong growth of digital assets, suggesting that it is unnatural. However it may be the result of a one-time purchase by a large investor. Nevertheless, the number of bitcoin futures reached a record level, which generally indicates the presence of positive dynamics. Repeated testing of local minimum looks unlikely in this case. 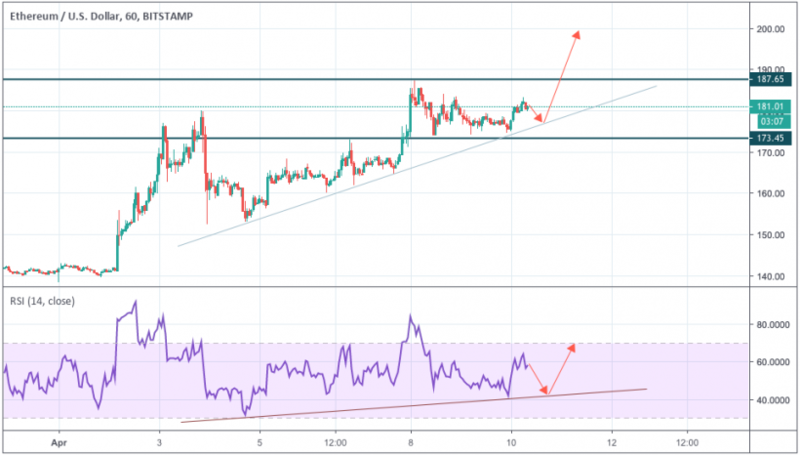 Technical analysis of BTC/USD indicates the proximity of an important resistance level in the region of $ 6000. Quotes continue to move along the ascending channel. RSI also show a rebound from the support line, which indicates the presence of an upward impulse. 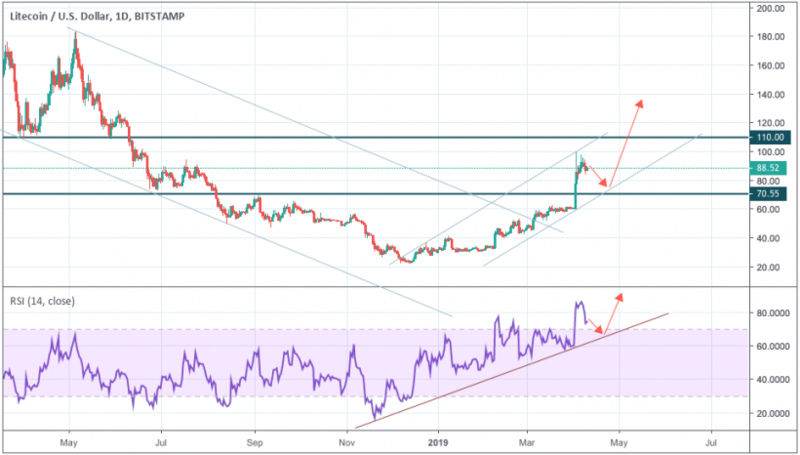 In the framework of the likely forecast of the cryptocurrency rate, a slight correction to the lower boundary of the channel is expected and the growth will continue. A breakout of the support area and closing below $ 4000 will confirm the resumption of the decline. Technical analysis of digital asset on the hourly chart indicates the formation of the Triangle model. We should expect an attempt to reduce and test the lower limit of the model near the $ 5,155. Next is the continuation of growth with a potential goal of $ 5,700. An additional signal here will be the test line support for RSI. The nearest area of ​​resistance for Bitcoin is located at around $ 5360. Its breakdown will indicate confirmation of a rise in quotes. An important support area is located near $ 4,800. The cancellation of the variant with the development of growth will be the breakdown of the lower boundary of the Triangle model and the closure below the $ 5050 level, denoting that the quotes go beyond the limits of the model with a potential decline to $ 4,800. EOS cryptocurrency continues to move as part of active growth. EOS/USD is trading at $ 5.87. 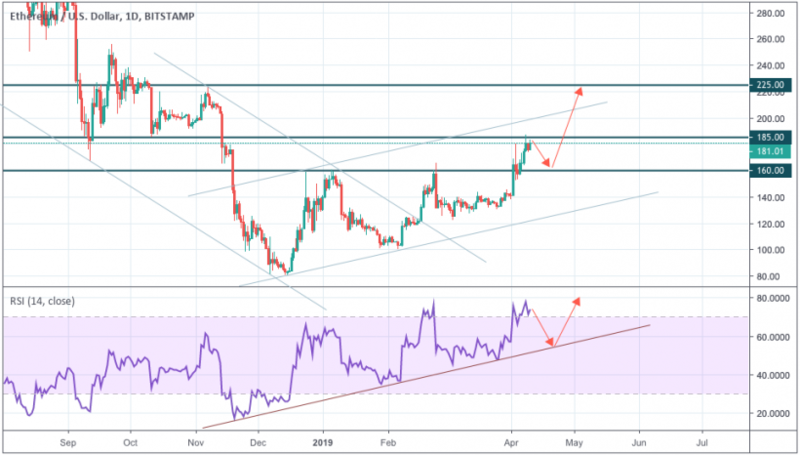 As part of the technical analysis of the daily EOS chart, you should expect an attempt to decrease and test the lower boundary of the channel near the $ 4.85 mark. After - continued growth to a potential target of $ 8.00. This movement will benefit from a test of the support line on the RSI. The closest resistance area at EOS is at $ 7.00. Its breakdown will indicate a high potential for raising quotes. An important support area is located near $ 4.80. Cancellation of the upward trend development will be the breakdown of the support area and the closure below the channel border below $ 4.75, which confirms the decline. 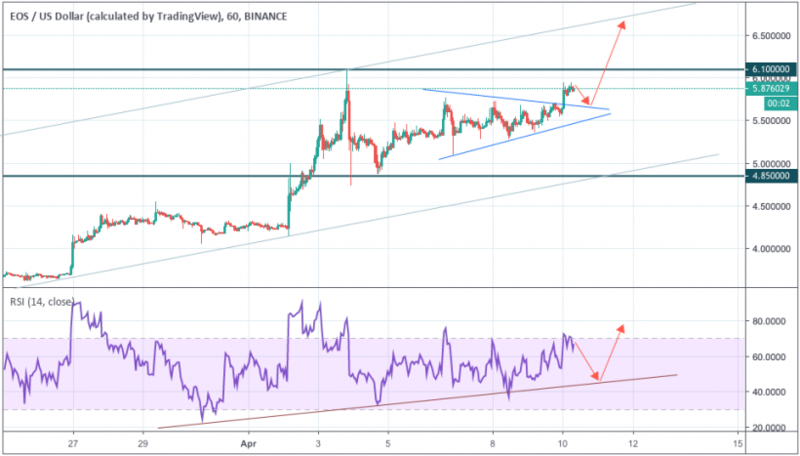 Technical analysis of EOS on the hourly chart indicates the completion of the formation of the Triangle model. In the short-term version, we should expect an attempt to reduce and test the upper limit of the model near the $ 5.65 area. Later - continued growth to a potential target of $ 6.65. An additional signal here will be the test line support for RSI. The closest resistance area for EOS is at $ 6.10. His breakdown will be a signal to the rise of quotations. An important support area is near $ 5.45. The cancellation of the option with growth will be the breakdown of the lower boundary of the Triangle model and the closure below $ 5.45, confirming the potential for a decline to $ 4.85.
goal at $ 225. An additional signal in favor of such a forecast will be a test of the rising trend line on the RSI. test line support on RSI. The nearest resistance area at Ethereum is at $ 187.65. His breakdown will confirm the hypothesis about the rise in quotations in the ETH / USD pair. An important support area is located near $ 173.45. The uptrend will cancel in the case of the breakdown of the support area and the close below $ 170.00, which will indicate a continuation of the fall to targets located below $ 155.00. 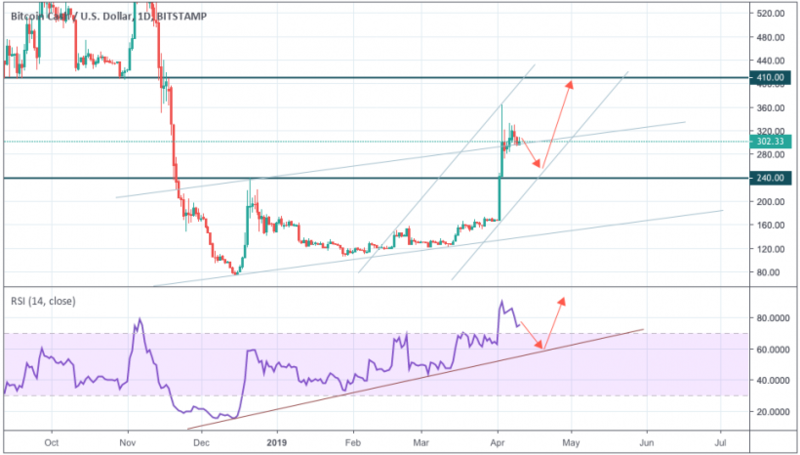 Litecoin continues to move within the growth and ascending channel. LTC/USD is trading at $ 88.52. 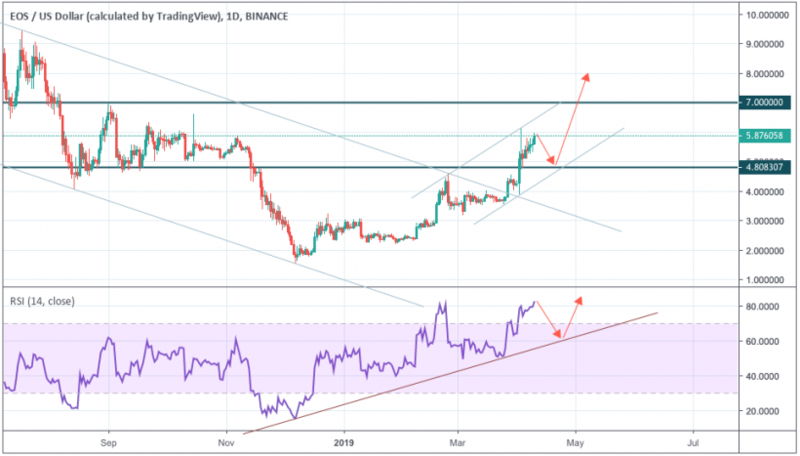 In the framework of the technical analysis of Litecoin on the daily chart, we should expect an attempt to correct and test the lower limit of the channel near $ 79. In the future, we expect continued growth with a potential goal of $ 140. An additional signal in favor of growth will be the test line support. The closest resistance area for Litecoin is at $ 110. His breakdown will confirm the rise of quotations. An important support area is located near $ 70.55. Cancellation of this forecast will be the breakdown of the lower boundary of the rising channel and the closure below the level of $ 70, indicating a continuation of the fall. Litecoin technical analysis on the 4-hour chart indicates the formation of the Triangle model. In the short-term version, we should expect an attempt to reduce and test the lower limit of the model near $ 87. Following is the continuation of growth towards a potential target of $ 115. An additional signal for this will be a rebound from the support line on the RSI. A break of the upper boundary of the “Triangle” model will indicate confirmation of the rise in quotes of the LTC/USD. Bitcoin Cash continues to move in the ascending channel. Quotes are at $ 302.33. 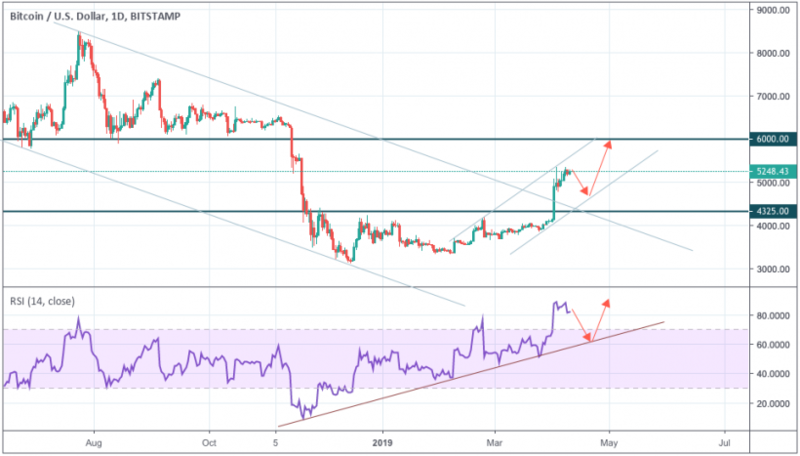 Technical analysis of the daily chart indicates the formation of an upward pattern of price movement with a potential growth target of $ 410. However, you should also not exclude correction and test the lower boundary of the channel near $ 250. Next, we expect continued growth with a potential goal of $ 410. 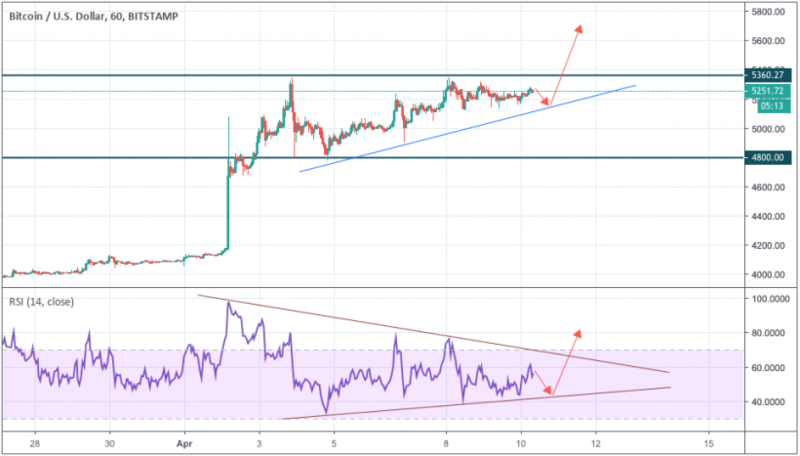 An additional signal in favor of this movement will be a test of the rising trend line on the RSI. Cancellation of this scenario will be the breakdown of the lower boundary of the rising channel and closing below $ 235 with a further depreciation of Bitcoin Cash. 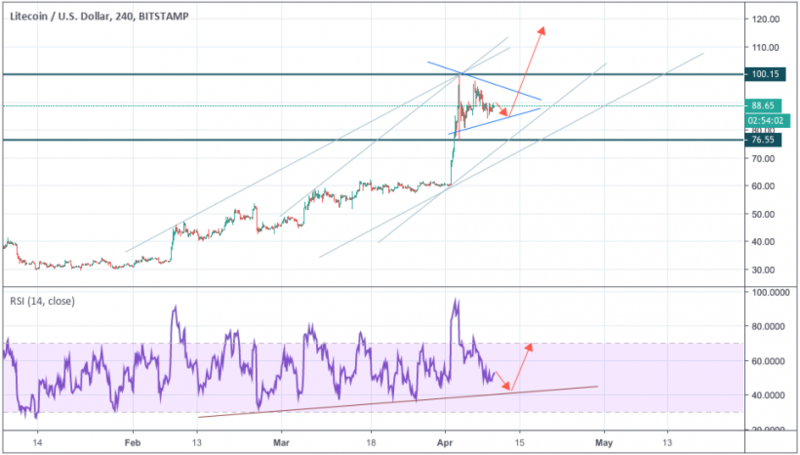 An additional signal in favor of this assumption is the test of the rising trend line on the RSI. A break of the upper boundary of the Triangle model and a close above $ 330 will indicate a continued rise in BCH/USD. Cancellation of this forecast will fall with the breakdown of the lower boundary of the model. © 2018 bit.news | queries 213, for 0.430 sec.